Sue Bridges Estate Agents are proud to be working alongside local property builders Wilson and Co Properties, promoting their new site at Warton, Carnforth. 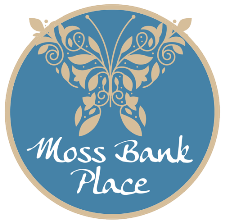 Moss Bank Place is a collection of desirable family homes and bungalows situated perfectly to enjoy the spectacular backdrop of Warton Crag and surrounding open countryside, nestled in an AONB (Area of Outstanding Natural Beauty). The development offers a delightful selection of 2 and 3 bedroom houses and 2 and 3 bedroom bungalows and is located in a slightly elevated position just opposite Greendale Drive in Warton Village. As well as picturesque views, Moss Bank Place's position offers an idyllic setting in a tremendous location within Warton Village where there are excellent schools nearby and easy access to Carnforth town centre and both road and rail links. For further information on the homes available please Click Here to email or see their website at www.wilsoncoproperties.co.uk .